Hi everyone a friendly reminder that the WoW Noblegarden event will be live on April 2nd – April 9th. This is an event that celebrates the WoW version of easter. This is a simple event and we don’t offer an in-game guide for it. The best guide is available here at wowhead. Finding Brightly Colored Eggs can be found during the event. Horde players can find them in Brill, Bloodhoof Village, Falconwing Square, and Razor Hill. Alliance players can find eggs in Kharanos, Goldshire, Dolanaar, and Azure Watch. Don’t forget to equip your Egg Basket to speed up collection! 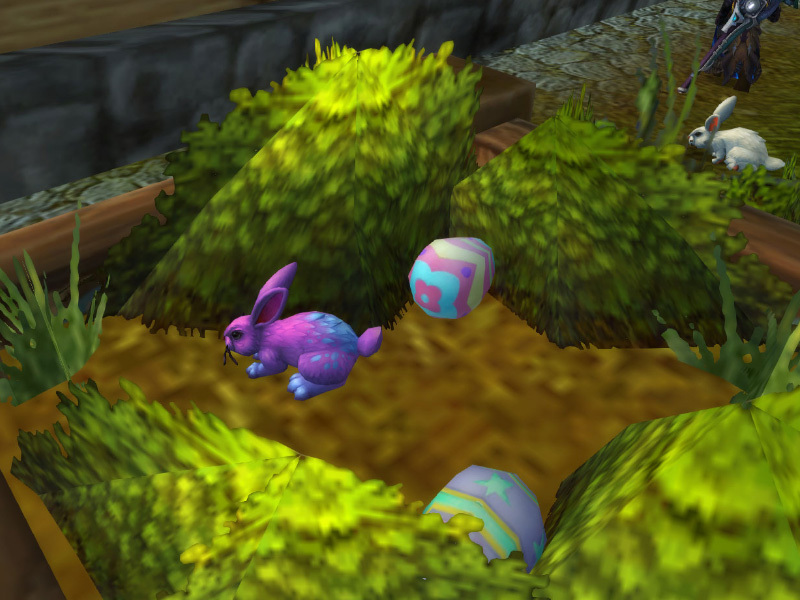 All of the Noblegarden items can be found in one of the eggs, except for the Tome of Polymorph: Rabbit and Noblegarden Egg. Don’t forget to collect all of them items that you need to complete Noble Gardener if you are going for the What A Long, Strange Trip It’s Been achievement! New to 2017 is the Noblegarden Bunny battle pet, sold for 200 Noblegarden Chocolate. In Patch 7.2.5, the holiday attire will be added to the appearance tab and you can transmog to it during Noblegarden. Spring Rabbit’s Foot (companion) can be randomly found in an egg. 2 replies to "Noblegarden (Easter) Event Guide 2019"
Hi, I have been a customer for a long time. I remember when the guides were just text. I liked the way your profession guides were set up with the fastest way and the number of materials needed to complete profession training. Is there a way to find this information again? I would like to have the text on one screen and the game in another for fast switching when gathering or purchasing items. Or perhaps another avenue may be helpful. I was thinking that a mouse rollover of items (an herb) that would indicate how many of certain items your particular toon needs to complete the level. The rollover of items would only work with the professions you have and would stop when those items were not needed to level. Maybe when the profession is complete the code that helped, could be used to display other information. Well enough boring you, have a great day and keep up the good work. What does this have to do with NOBLEGARDEN?